We buy and sell real estate nationwide for ALL CASH offers!! A strategic bespoke service..... Qualitas Global Property is a professional real estate investment company, working across international markets. Since 2007 our experienced agents have closed over 3,000 properties in SW Florida for seller, buyers, lenders and asset mgmt. companies. That's Experience! 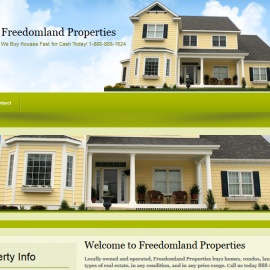 Custom Crafted Real Estate Solutions! RE/MAX Destination Realty is one of the newest RE/MAX offices in SW Florida! Your source for buying or selling real estate in Florida. Nick Mosher has been a licensed real estate agent in Florida for over 12 years.